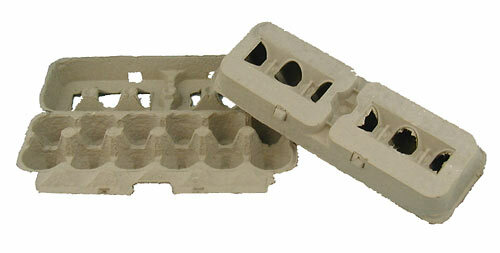 We handle a sturdy biodegradable egg carton for chicken eggs. Each carton holds one dozen eggs. 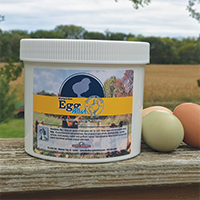 This has been very popular for both the home flock and the commercial producer. STYLES MAY VARY FROM PICTURE. Style or color of carton may change due to circumstances beyond our control. NO SHIPMENTS OUTSIDE THE CONTINENTAL U.S.
Will the 5jcc hold a 80 gram egg and larger like a 90 gram egg? It is made from recycled paper. Yes they are made of recycled materials and they are recyclable. They have a #1 stamp on the bottom. These cartons are designed for Large eggs. If you have Extra Large or Jumbo, we recommend the Jumbo cartons, sku #5JCC. Are the 5ICC 12 egg cartons? Yes they hold one dozen eggs (12).